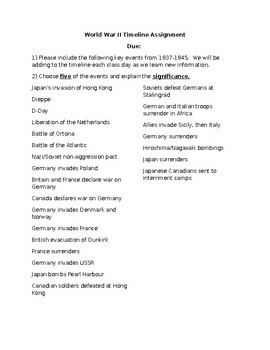 Students take given events of WWII and create a timeline to help them understand the story of WWII. As well, students are to explain historical significance of each. Order of events also included (key).